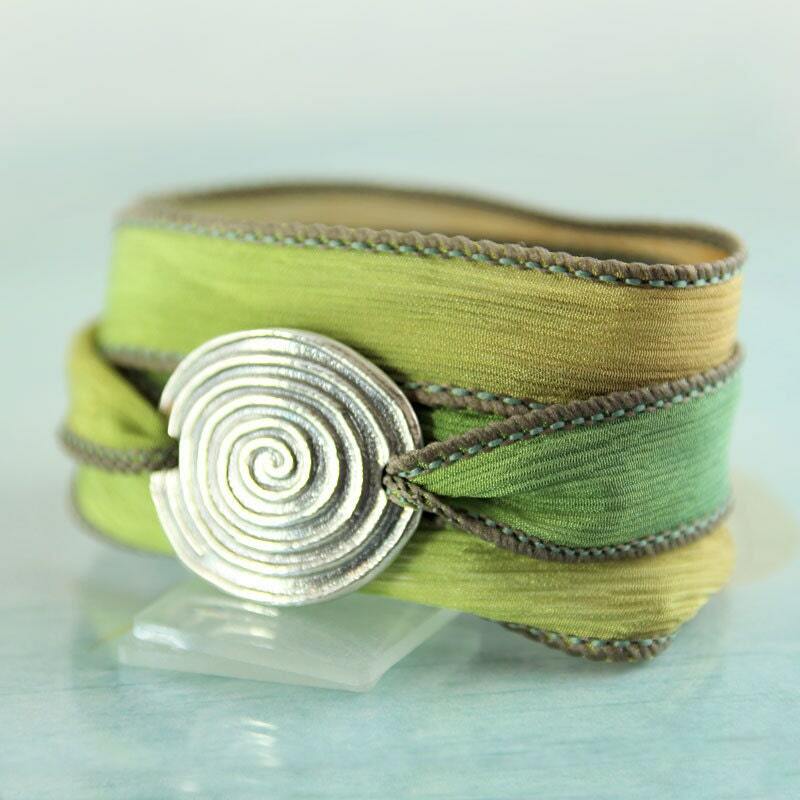 Silk bracelet with a silver slide focal impressed with the classic spiral symbol. I drew the spiral to make a mould for this sterling silver slide. I shaped it then oxidised it to give it that ancient artefact feel. It looks timeless to me. The back is smooth save for a ghostly ripple of the spiral on the other side. 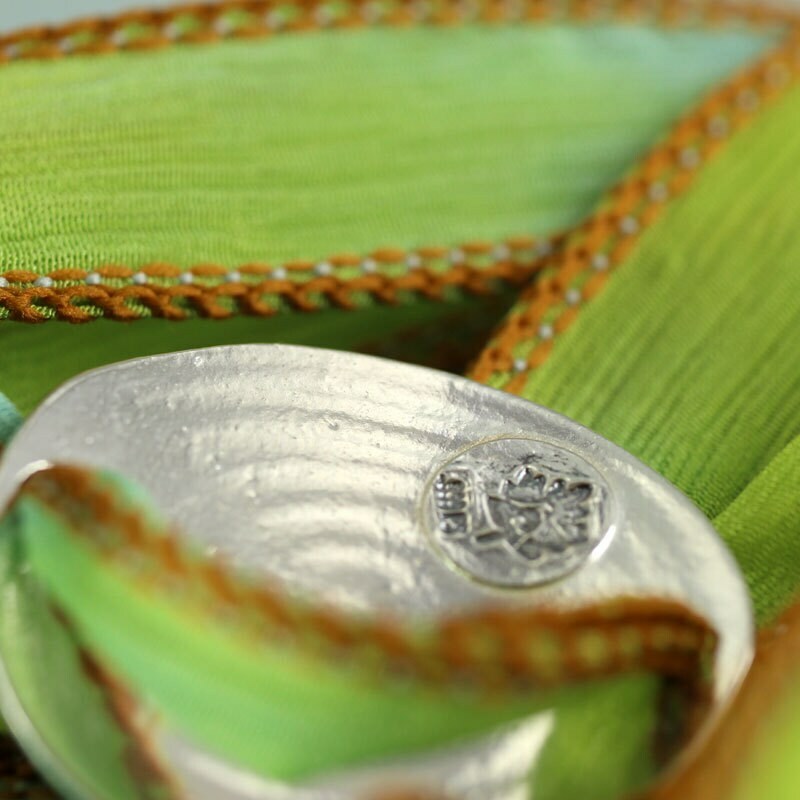 My little leaf logo and a fine silver stamp can be found on the back. The silver plaque is slightly curved to follow your wrist. 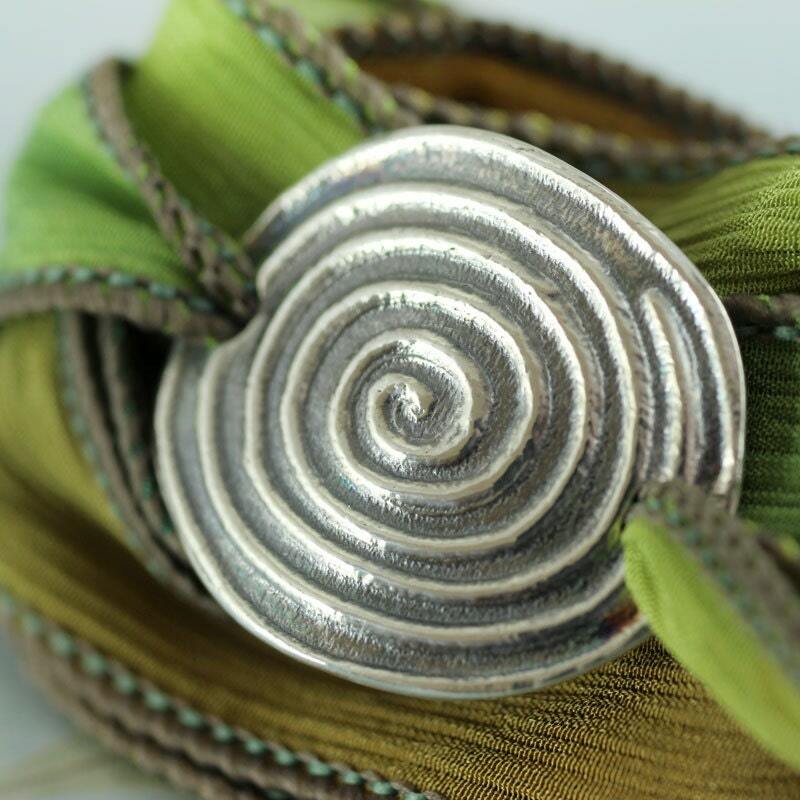 The spiral is a symbol used by every ancient people, but in particular the Celtic. It stands for change, journey, expansion and renewal among other things. 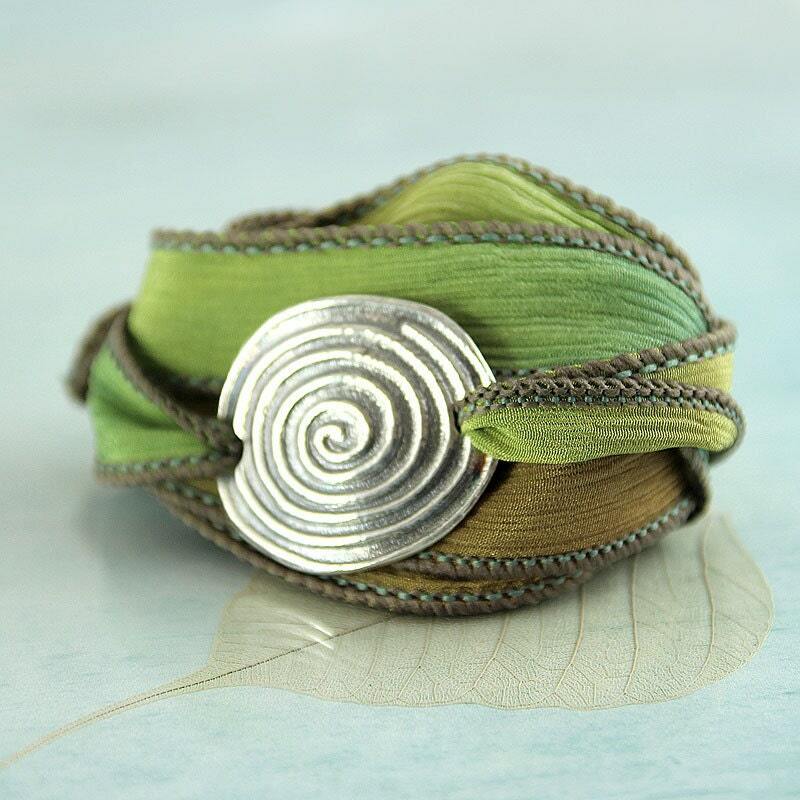 The softest silk wrap completes the bracelet. 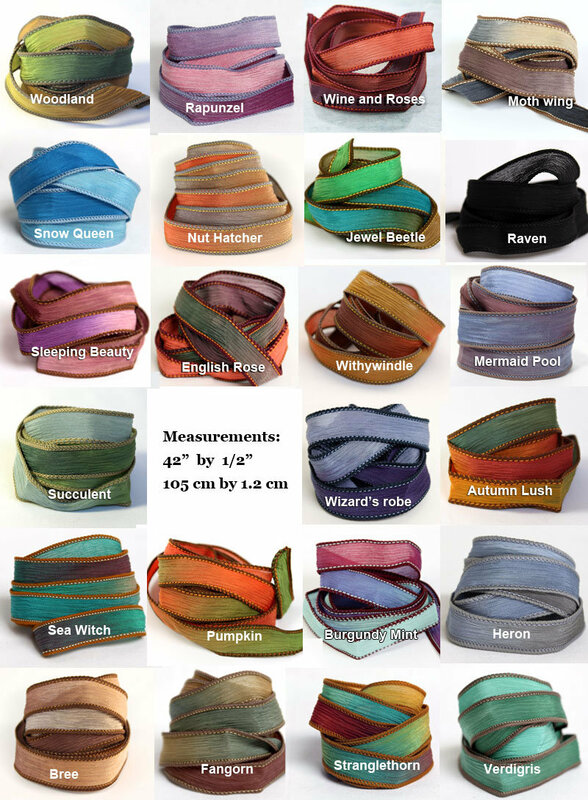 The wrap here is the 'Woodland' ribbon. (temporarily sold out). 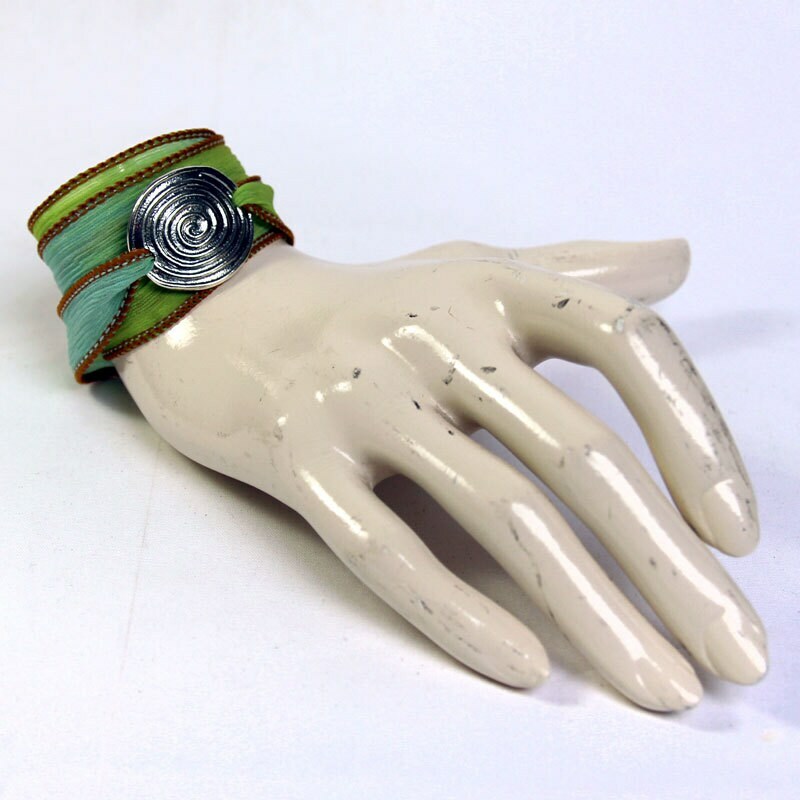 Beautiful bracelet! Many thanks again for excellent service!